Jeff Shakespeare has over 40 years of experience in the financial services industry operating as a business owner and managing director. Jeff’s company JSA Group was established in 1976 and offers a broad range of financial services including strategic Financial Planning, Mortgages, Novated Leasing & Finance, Accountancy & Tax and Property Services. JSA’s clients are serviced through their offices in Newcastle and Charlestown. Jeff was a founding member and Director of Matrix Planning Solutions Ltd which is an Australian financial services company. Jeff was also one of the founding Directors for the PSI Group and the Nationwide Superannuation Fund (NSF). 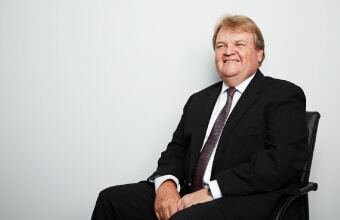 In 2012 Link Market Services Limited, a leading Superannuation Administration provider who manages large funds including Industry Super funds CBus and Connect Super, acquired the PSI Group and NSF. Jeff has been a longstanding Rotarian and is the recipient of the Paul Harris Fellow International Rotarian Award. Below is a copy of our Financial Services and Credit Guide, our Schedule of Fees and Jeff Shakespeare’s Advisor Profile for your information.